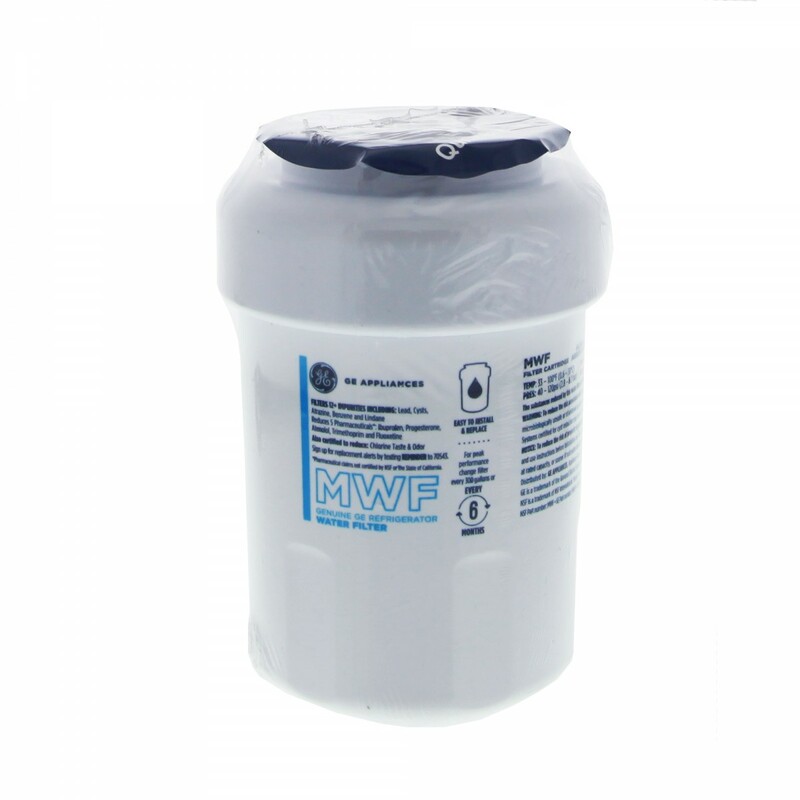 Fits GE and Hotpoint refrigerators with a round white plastic filter, typically mounted inside the refrigerator at the rear of the compartment - above the top shelf. 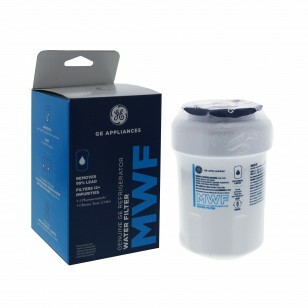 The GE MWF SmartWater refrigerator water filter has been improved, now called the MWFP, the filter reduces up to 94% of increasingly common pharmaceuticals from your drinking water. The new and improved GE MWFP will continue to fit all refrigerator models that use the GE MWF SmartWater refrigerator water filter. 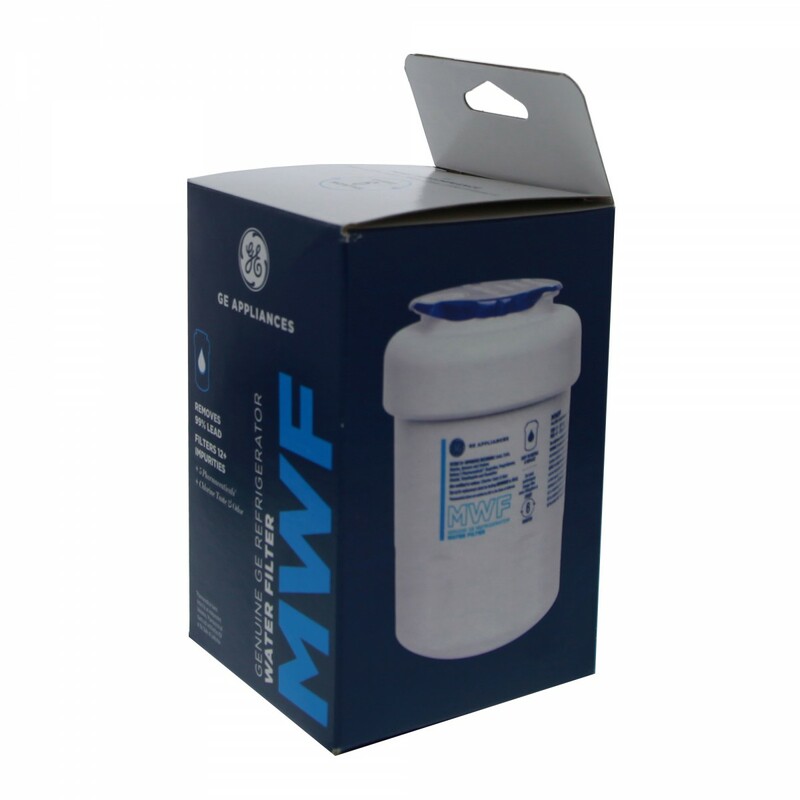 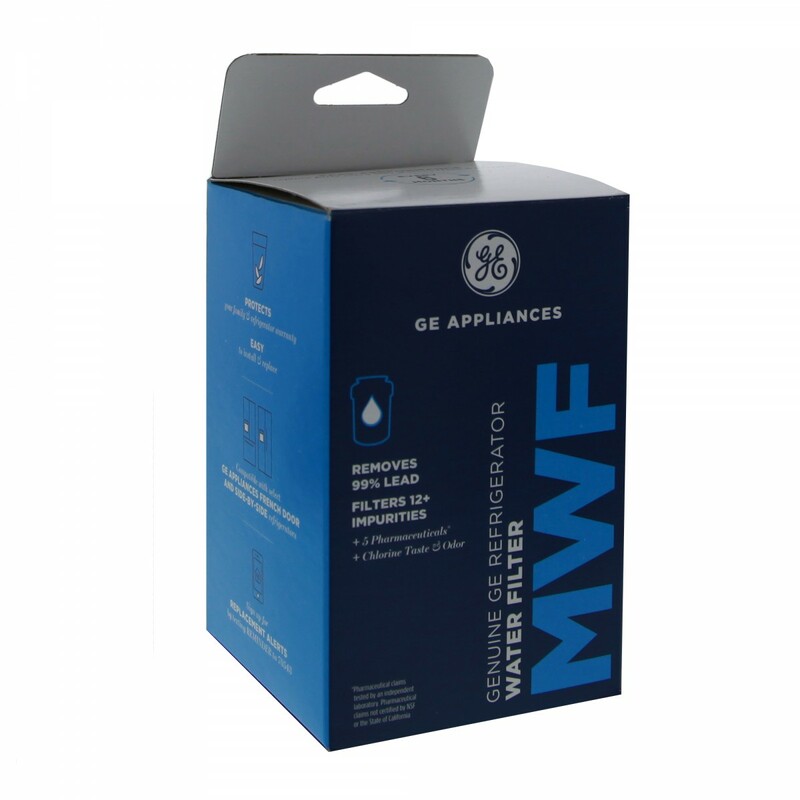 The GE MWFP refrigerator water filter offers the same filtration power against potentially harmful contaminants, ranging from chlorine to lead, but more importantly will provide you with up to six months of the coolest and crispest water and ice. 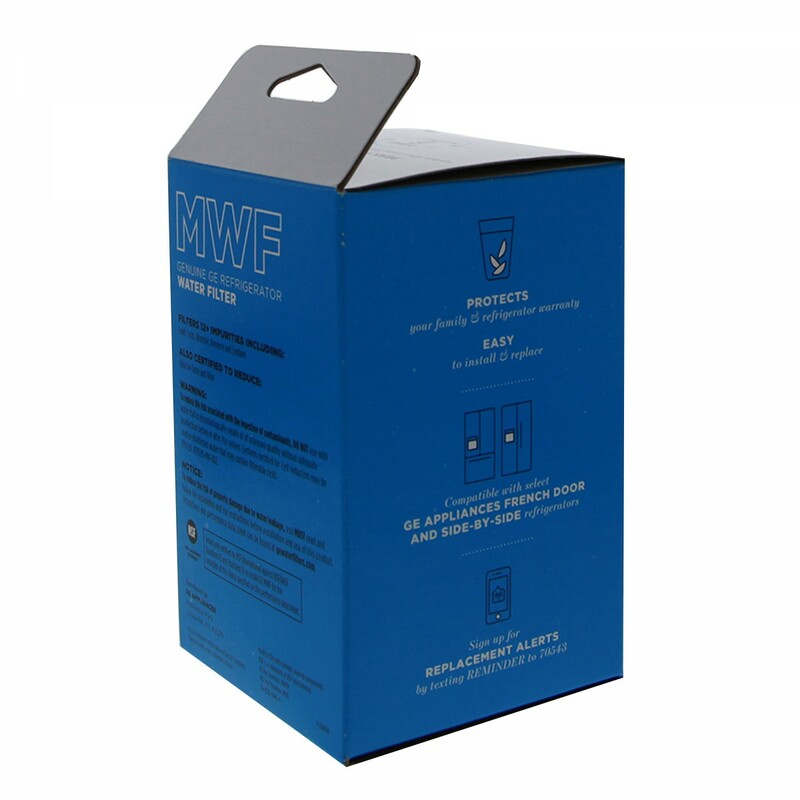 It also features a new package design and an updated image. 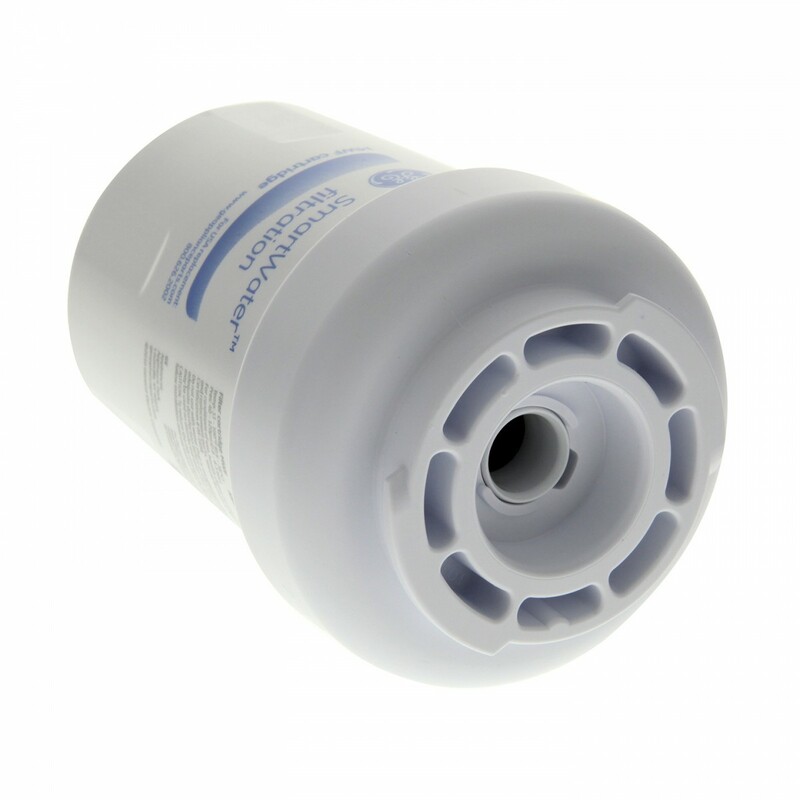 Order this genuine OE part today. 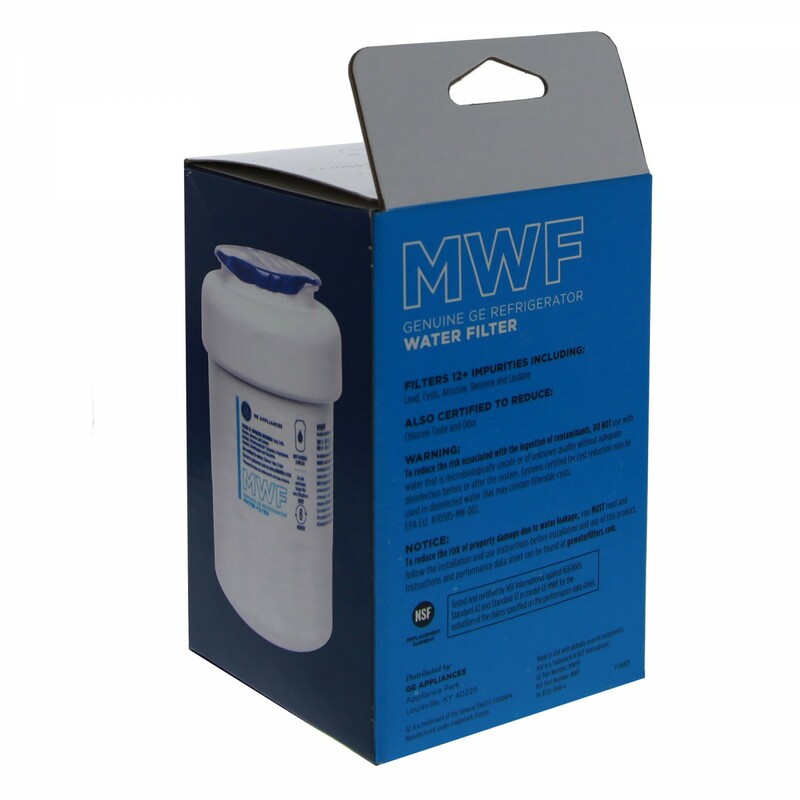 The MWFP does not reduce fluoride.